The Chinese variants of OnePlus phones, which run Hydrogen OS rather than Oxygen OS, are typically first to see new updates and Android versions. The latest Hydrogen OS Open Beta is based on Pie. Therefore, OnePlus 6 units in other countries may have access to a similar build soon. OnePlus phones sold in China run Hydrogen OS (H2OS) as a stock rom, and not Oxygen OS (OOS) as they do elsewhere in the world. H2OS is often the first Oneplus ROM to see new features and Android updates. 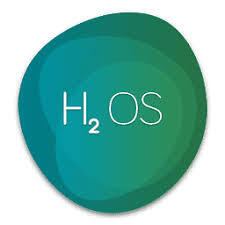 Therefore, new H2OS releases are a decent yardstick for next steps in OOS software, especially for the latest Oneplus devices. The latest H2OS version for the OnePlus 6 is an open beta (OB) based on Android Pie. This phone already has access to OOS ROMs based on Pie - however, the Android 9 build in question is the third Developer Preview (DP3) in beta, not the official stable version. OBs themselves (in Oneplus terms, at least) are reasonably stable builds, but with new, experimental features that may or may not make their way into official stock releases. Therefore, the fact that there is now a new OB based on Pie for Chinese Oneplus 6 units means that an analog for the devices in other countries may be just around the corner. When a user on the international OnePlus forums posted a thread pointing out the existence of the new H2OS OB, a Community Manager at OnePlus ("David Y.") was quick to reply: "Hey guys, the Open Beta for OxygenOS will be released in a couple of days if everything goes well. Stay tuned." For those who are interested, it is technically possible (but not necessarily recommended without appreciable Android modification experience) to install the H2OS OB1. However, doing so involves compromises such as losing access to the Google Play Store. On the other hand, a comparable OOS beta may be here soon.